In his new book ‘Purity’ Jonathan Franzen writes “I think it helps to start with people who are in an unstable, untenable position, an anxious making or a stressful position, because then you know that something has to change”. Exactly this is what the Greeks did after five years of hardship, crisis and humiliation. They elected a new government. Purity was what they needed mostly and subsequently a bit of breath from the harsh austerity measures. 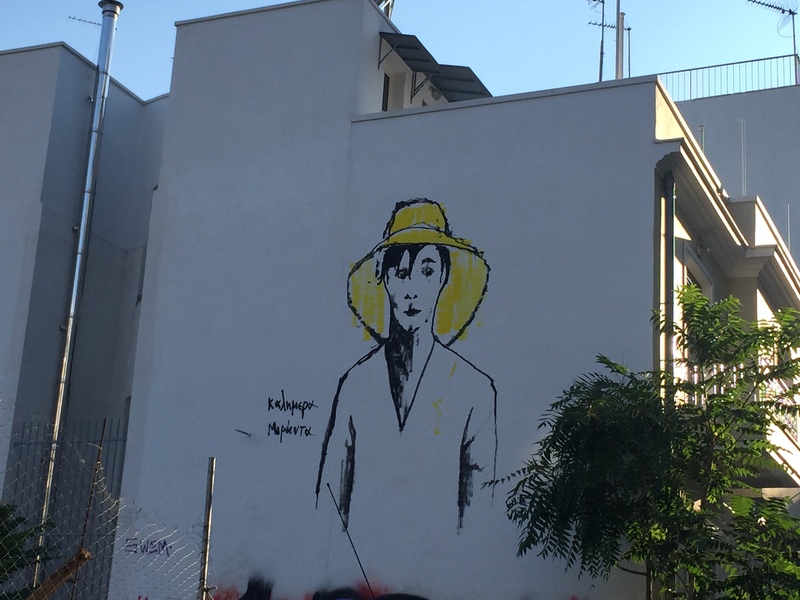 Καλημέρα Μιράντα /Good morning Miranda. Central Athens,Greece. Obviously, the European leaders (see German) needed a change but they were based on what Prince Tancredi, a character in the Leopard, a famous novel set in 19th century Sicily, reckoned “if we want things to stay as they are, things will have to change”. 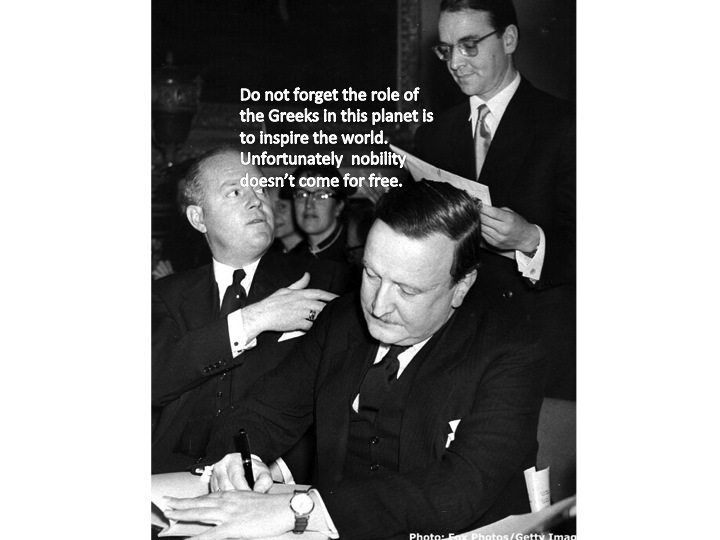 In Creece a lot of things have changed since the start of the Greek crisis. The new Greek government had a new proposal in order to tackle the crisis inside the Eurozone but nothing was enough for the Eurogroup and European leaders who were guided by the supreme (German) leaders. The new Greek government(the change) had to follow the same 5 years program and to confront the same problems. Athens still cannot repay its debt and it is in a deeper recession and neither the eurozone and the European Union as a whole find any resolution as bailout follows bailout. Merkel and Schauble are repeating the magic word “rules” to their electorates in whatever concerns the Greek crisis, which of course these rules and laws can be bend and be quite flexible behind the doors of the meeting rooms in Brussels where there is no recording of any discussion. As consequence, the euro’s future itself remains uncertain. 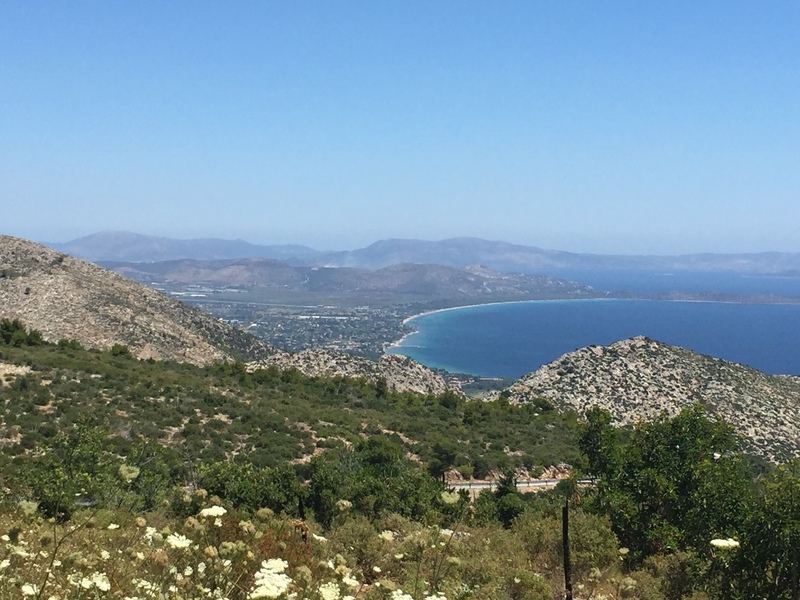 In my recent visit to Greece, one week ago, the misery was depicted at every turn in the Athenian roads. The banks were under capital control with maximum withdrawal amount of 60 euros and big queues of old people in front of the ATMs. Most of the shops in the high streets of central Athens were closed down with the only survivors the Chinese “one euro” shops. And my compatriots, I think, are beyond any horror, terror, humiliation. They are tired and subdued. They had enough, they voted “no” to the austerity measures because they are in the same stage as the character in the scene of the film Network – Mad as a Hell- who says: I don’t care about the depression and the inflation and the Russians… The air is unfit to breathe, the food unfit to eat… I’m human being, my life has a value! Love my compatriots. They are really tough lot! Despite all the terror from all the sides -the Creditors and all the Greek mass media- bullying them constantly with banks shut for a week and perhaps more and with no really light at the end of the tunnel, I can say, more hardship is yet to come, they decided to stand up against any terror. There will be more drama and more hardship to come but for tonight : JUST RESPECT! 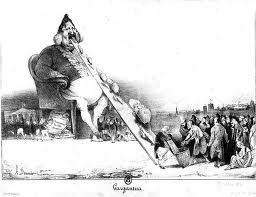 Honoré Daumier’ caricature of the king as Gargantua. Yesterday, 26 economists with established world credentials signed the following letter and sent it to Financial Times. It is mainly about this very frail concept of our times called Democracy in Europe. “We believe it is important to distinguish austerity from reforms; to condemn austerity does not entail being anti-reform.” Six months on, we are dismayed that austerity is undermining Syriza’s key reforms, on which EU leaders should surely have been collaborating with the Greek government: most notably to overcome tax evasion and corruption. Austerity drastically reduces revenue from tax reform, and restricts the space for change to make public administration accountable and socially efficient. And the constant concessions required by the government mean that Syriza is in danger of losing political support and thus its ability to carry out a reform programme that will bring Greece out of the crisis. It is wrong to ask Greece to commit itself to an old programme that has demonstrably failed, been rejected by Greek voters, and which large numbers of economists (including ourselves) believe was misguided from the start.